Interview: Rob Reiner Teams Michael Douglas and Diane Keaton in "And So It Goes"
Not every filmmaker’s work has stood the test of time. But Rob Reiner, 67, once best known as Archie Bunker’s son-in-law Meathead on TV’s groundbreaking sitcom "All in the Family" in the ‘70s, has directed more than his share of titles that have proven to have evergreen appeal across generations. From 1984’s rock mockumentary "This is Spinal Tap" to 2007’s "The Bucket List," his output has proven to possess staying power as cultural touchstones. And, perhaps, none more so than his romantic comedy "When Harry Met Sally..." from 1989. Now, he is back with another amusing love story, this time told from the point of view of the AARP set and titled "And So It Goes," which opens July 25. The starting-over tale about a cranky realtor and a late-life chanteuse bonding over the unexpected arrival of his young granddaughter reunites Reiner with his "An American President" lead Michael Douglas, 69, and allows the actor to match wits for the first time with Diane Keaton, 68. 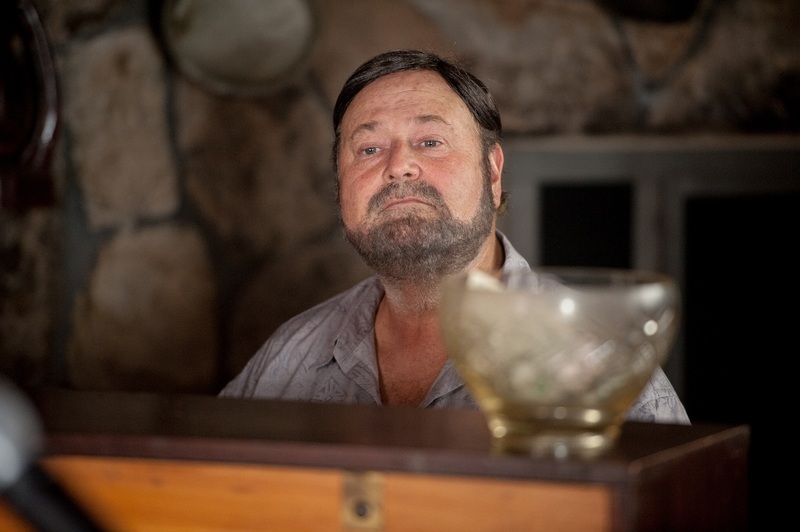 Reiner, who puts in an appearance onscreen as Keaton’s piano accompanist and rejected suitor, continues to act—he was Leonardo DiCaprio’s father in last year’s "The Wolf of Wall Street." And he continues to fight to be able to make movies through his production company, Castle Rock, that go against the grain of a Hollywood that prefers movies populated by cartoons and comic-book heroes rather than everyday people. Here he discusses playing matchmaker for Douglas and Keaton, making movies that feature over-50 folks, his knack for showcasing catchphrases (“I’ll have what she’s having”) and a notoriously negative review of his 1994 comedy "North" by a certain film critic of much repute. In "Sleepless in Seattle," you introduced me to the term “tiramisu” when your character was advising Tom Hanks on dating. I then tried the Italian dessert as soon as I figured out what it was and found it to be very heavy and too rich—and probably not worth the calories. 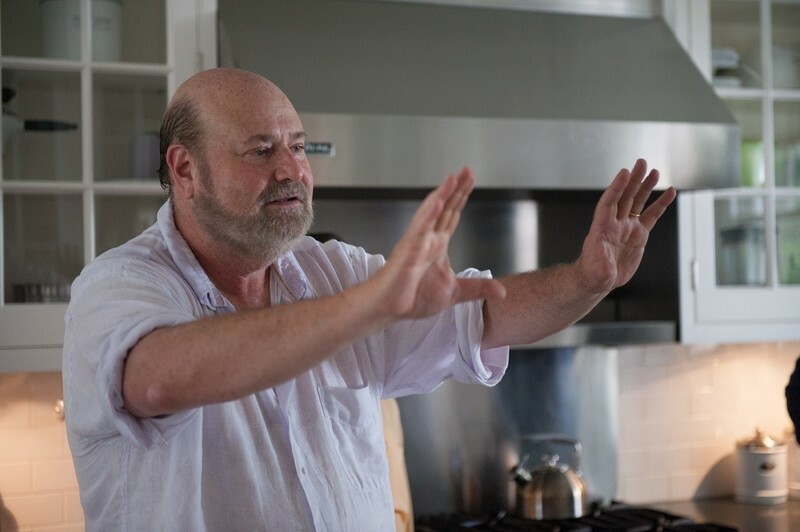 ROB REINER: You know, I think it is over-rated. Whenever I go to an Italian restaurant, I never get the tiramisu. How many cheesy toupees did you try on before you found just the right one for your hair-challenged character in "And So It Goes"? (Deadpan.) First of all, you have to admit it is undetectable. You couldn’t notice it was there. That was the first criteria. How timely—considering "Jersey Boys" is in theaters—that you recruited Frankie Valli to be the club owner who auditions Diane Keaton as a featured act? That was just happenstance. I got a call from his agent, who’s a friend of mine, and he said Frankie is looking to do parts in movies and asked if I had anything. I said, ‘As a matter of fact, I do.’ I have one part, it’s small, and if he wants to do it, he’ll do it. The great thing about the day we shot the scene: When Diane gets into character, she doesn’t think about anything else. When we did the first take, all the lights were on her and Frankie and Michael were in the back of the room in the dark—you couldn’t see them. And we were just about to do the first take and I’m at the piano and I say to Diane, “Are you nervous?” and she says, “Why?” I said, “Well, you got to sing in front of Frankie Valli here. And she said, “Frankie Valli? Where’s Frankie Valli?” She had no idea he was in the room. 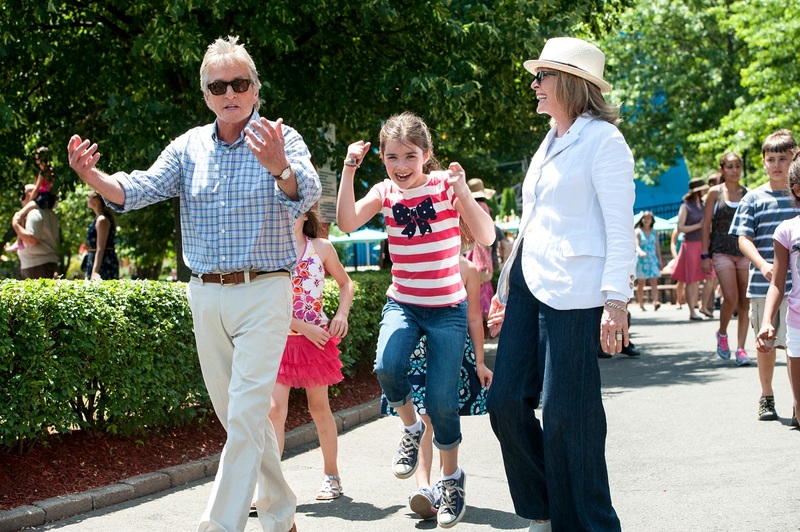 How can it be that Michael Douglas and Diane Keaton have never worked together? It’s astounding to me. Here are two Academy Award winners. Two great iconic actors. And they both wanted to work together. I read that Diane recently said that she had this list of actors who she always wanted to kiss. And Michael was one of them. She took that off her bucket list. There seems to be an increase of films aimed for older moviegoers that seemed to take off when Diane co-starred with Jack Nicholson in 2003’s "Something’s Gotta Give." Since then there has been everything from "The Best Exotic Marigold Hotel" and "Hope Springs" to "The Expendables" and "Last Vegas." According to the MPAA’s research, there is a considerable population of very dedicated moviegoers in the 50 and above demographic. We know there is an audience out there because when we did "The Bucket List," it was a tremendous success. We know there is definitely an audience of older people. And the Baby Boom generation, which I am a part of, is the largest bulge of the population. And we grew up going to the movies and not going with electronic devices in your hand. So we are definitely there, but you have to have something in the theaters that makes people want to see it. We used to joke all the time when we did "The Bucket List" that our core audience was 100 percent desire to see and 40 percent ability to get there. The truth is, they do come to the theater, but they don’t always come for the first weekend. You have to know how to market it and you got to make sure it gets out. It not like an opening weekend with "Transformers" where you are off the charts right away. So is Hollywood more eager to make these kinds of movies? Studios are making three kinds of movies now. They are making big action superhero franchises. They are making animated films. And they’re making the R-rated raunchy comedies and that is it. But a few others sneak in. What about "The Fault in Our Stars"? That wasn’t made by a studio. It was distributed by Fox 2000. It was not financed by Fox. They don’t make those films. "The Wolf of Wall Street" was distributed by Paramount, but it was financed by Red Granite. It took six years even with Martin Scorsese and Leonardo DiCaprio to get that thing financed. Studios don’t want to make them. Warner Bros. used to distribute your films. But not since "The Bucket List." What happened? They don’t want to make these kinds of films. They don’t want them. "The Bucket List" has probably made close to $200 million now and they don’t care. We had trouble even getting that made, even with Jack and Morgan involved. The only reason we did is because Alan Horn, who was a partner of mine in Castle Rock, was running Warner Bros. at the time and agreed to do it. But he didn’t want to do it at the price we had. No one else wanted to do it and every single studio turned it down. It is worse now. Sony for a minute wanted to do "And So It Goes," but they wouldn’t put up prints and ads. We had to raise money for prints and ads. What movie has spoken to you lately? I saw "The Grand Budapest Hotel." I liked it. I saw "The Fault in Our Stars" and I could see why young girls like it. But it dropped off like crazy in the second weekend. I liked "Fed Up"—I love documentaries. I go to a lot of documentaries. You should see "The Case Against 8." We put that out and it’s really good. Speaking of "The Bucket List," you have this habit of featuring certain phrases in your movies become popular sayings. "This is Spinal Tap" had, “These go to 11.” "The Princess Bride" had, "Hello. My name is Inigo Montoya. You killed my father. Prepare to die." "Misery" offered, “I’m your No. 1 fan.” There is "When Harry Met Sally…" and “I’ll have what she’s having.” “You can’t handle the truth” from "A Few Good Men." I was trying to figure out what line could catch on from "And So It Goes." I kind of like when Frances Sternhagen as Michael’s real-estate colleague tells him, “You think you invented men being assholes.” What do you think? Frances is brilliant. She was great in "Misery." She has this great delivery and this great attitude. That line is one of my favorites. The other one I like is when Diane and Michael are going to make love for the first time, they are starting to walk into the bedroom. She grabs a bottle of red wine, takes a slug and as they walk in, she says, “I’m leaving my bra on.” It’s just her character being self-conscious of herself. I am glad you always find time to act still. You were terrific in "The Wolf of Wall Street" as Leo DiCaprio’s dad Max Belfort. But you didn’t really get a chance to participate in any of the wild antics and partying onscreen. Since this piece is for RogerEbert.com, I would be remiss if I did not ask you about the infamous review that Roger gave your film "North," in which he famously stated, “I hated this movie. Hated hated hated hated hated this movie. Hated it.” That comment even inspired a book collection of his lowest-rated reviews of films. How do you feel about his reaction? It’s the worse review that I have ever gotten and it’s probably the worse review that anybody has ever gotten. What is funny is Comedy Central did a roast of me (in 2000) and they brought up that review and people were screaming hysterically. And here is something funny that I hadn’t known. Recently, I got this Chaplin Award from the film society at Lincoln Center and it was really nice. 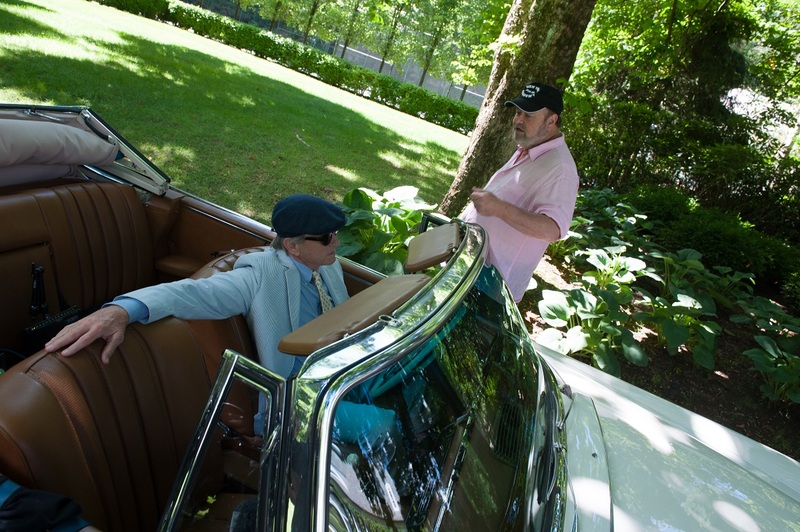 And Michael Douglas got up and he reminded me we did a movie together when we were kids. I’ve known him since we were pretty young. It was called "Summertree" and it was about a college campus in the ‘60s. Anthony Newley directed it. And Michael got up and read the review of "Summertree." It was worse than the Roger Ebert review. I laughed at it. Listen, everyone is entitled to their opinion. Next Article: Simply Do it: Talking with Woody Allen About Directorial Style Previous Article: Interview: Paul Scheer of "How Did This Get Made?"